Hello everyone, it’s Melinda here to share a card I’ve created using the Hampton Art licensed Echo Park stamp set called ‘Bundle of Joy’. 1. 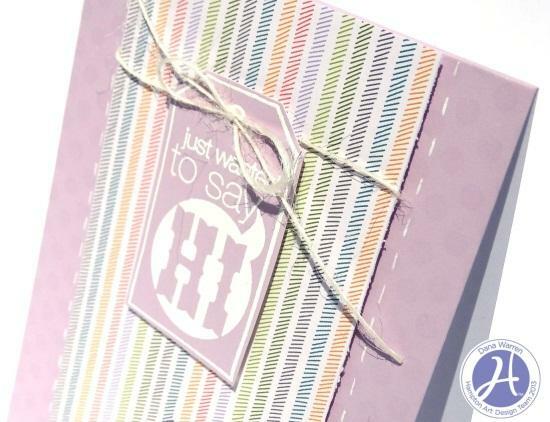 Cut and fold white cardstock to create a 6" x 4" side opening card. 2. Cut a piece of white cardstock to 5.5" x 3.5". 3. Cut a piece of patterned paper to 3.25" x 3.25"
4. Using a piece of white cardstock off-cut stamp two flower images in red ink and hand cut when dry. 5. Adhere the patterned paper square to the top section of your single white cardstock using foam pop dots. 6. Adhere both flower images to your patterned paper piece using pop dots and overlap slightly. 7. 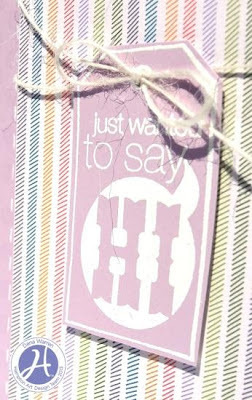 Using black ink stamp the 'Oh So Happy' image onto the bottom portion of the single white cardstock. 8. Adhere the single piece of white cardstock to the main card using foam pop dots. 9. Place Black Pearls onto the centre of each flower and add a small white dot to each using a white paint pen. 10. Scatter and adhere sequins randomly to create a balanced look to your card. Hey! So when I made this card I was in a frame of mind to A. use a stamp I haven’t before and B. use some paper that I won in on a blog. I wanted to use the paper, because well I have a tendency to hoard my cardmaking supplies, but not this time, I was going to use some and not just look at it!! 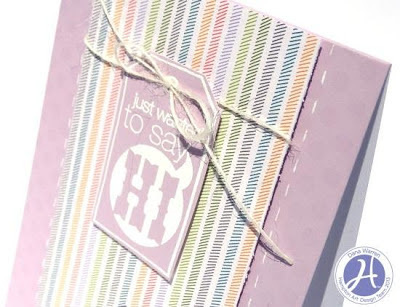 And this goodie bag had awesome springy colored paper and its finally spring outside!! 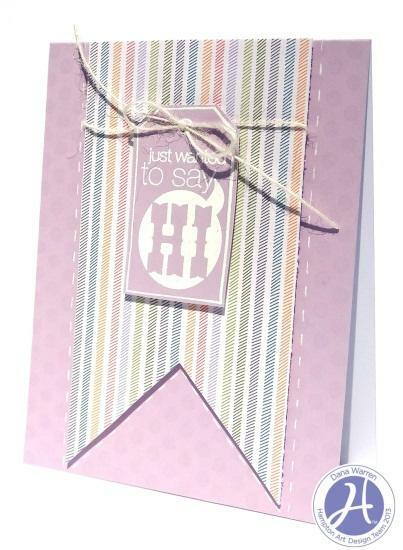 Trim pattern paper and notch end, adhere to cardbase with pop up dots. Add faux stitching. Stamp and embossing sentiment tag and cut out. Wrap twine around pattern paper and thread through tag, tie in a bow. Adhere tag to cardbase with pop up dots too.